It is a fact that WordPress is the most popular CMS today. No matter if you are going to install WordPress for the first time or you are a developer and install it every day, there are few things you must do right after the installation. In this article, we will see 10 most important things that should be done after every WordPress installation irrespective of the website type you are building. After installing WordPress, it is most important to make sure you have the correct Site Title, Site Tagline and URLs of your WordPress site. It is also important to set your timezone, date format, time format and week start day so that you have all basics set up before you actually start working on your website. It is obviously clear that the latter format will look much better for your URLs and will be user friendly as well as search engine friendly. You might think it is better to first put all content and then choose a new theme and apply it. It is also a fine approach but there is a problem with that. If you have done formatting like adding spacing before headings, making paragraphs justified or adjusting font sizes etc. 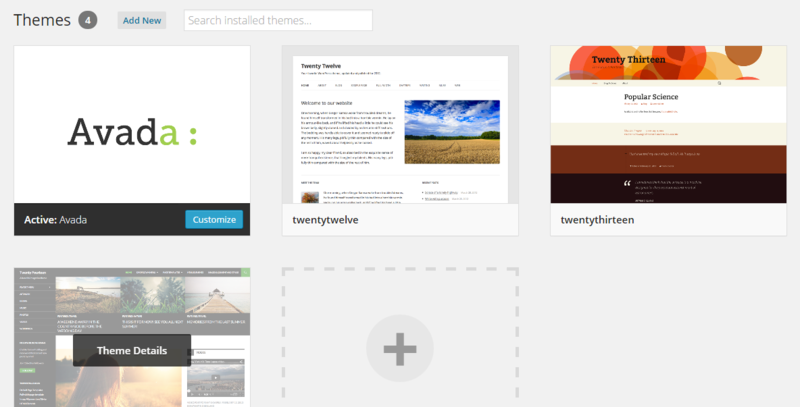 ; that does not necessarily mean that those new styles will look good on your new theme too! So, it is a much better approach to apply your theme first before you start importing or writing any content. It is important to remove any unnecessary content that comes with WordPress. You should remove the Hello Dolly plugin, Hello World sample post and a page named ‘Sample page’ which is created when you create your WordPress website. All this content has no use so it is best to remove it before you start working on your actual website. This link will randomly give you a set of new security keys. You can refresh the page any number of times and it will give you a new set of keys every time. And then you should go to your wp-config.php file and update these values. If you want to go a step further, read this article and make your WordPress site even more secure. Comment spam is a headache for almost every blog owner. To avoid this in the first place, it is highly recommended to take measure right after you install your blog. Akismet comes with every WordPress installation. All you need to do is to set it up. If you would like to check even more options for avoiding comment spam, check out this article here. Without a backup plugin, you risk of losing your important data if your website get hacked or there is any other issue. So it is clever and very important to have a plugin installed for keeping your website backed up and avoid any risk of losing your data. Few of the best plugins you can get for this purpose are UpdraftPlus, BackupBuddy, Duplicator and BackUpWordpress. Search Engine Optimization is becoming more and more important day by day. Without an SEO plugin, you cannot expect good SEO results. So it is very effective to install an SEO plugin right after you install your WordPress site. Few of the good SEO plugins you should check out are SEO by Yoast, All in one SEO Pack and Google XML Sitemaps. One of the most important things is not to choose ‘admin’ as the administrator account for WordPress as it will make your website far more vulnerable to attacks. So go into your account and create a new account, make it administrator and remove the default ‘admin’ account. Most users prefer to avoid admin bar while browsing their website. For doing this for all users, you can add this code to your functions.php file and the admin bar will not show for any user. Thanks, I picked up some good pointers from your post. I also like to enable DISALLOW_FILE_EDIT in wp-config.php . Thank you for your suggestion Peter ! Thanks for your suggestions. Especially the auth. keys were new to me.